The amount of languages in which Wuthering Heights and Jane Eyre have been translated has continued to expand. In the last updated version of the second translations analysis article of 24 November the score was 51-49. Emily Jane is still in the lead, still two ahead. Wuthering Heights is now on 61 languages, Jane Eyre on 59. (It’s a combined total of 67 languages.) In the revised article the new lists of languages can be seen. There may be more languages in Asia and Africa for both that have not yet been discovered. And there will be new languages in upcoming years. It took until 1971 before a new Le Professeur was published, a new translation by Janine Rebersat et Jacques Papy. It was described earlier in the Switzerland article. 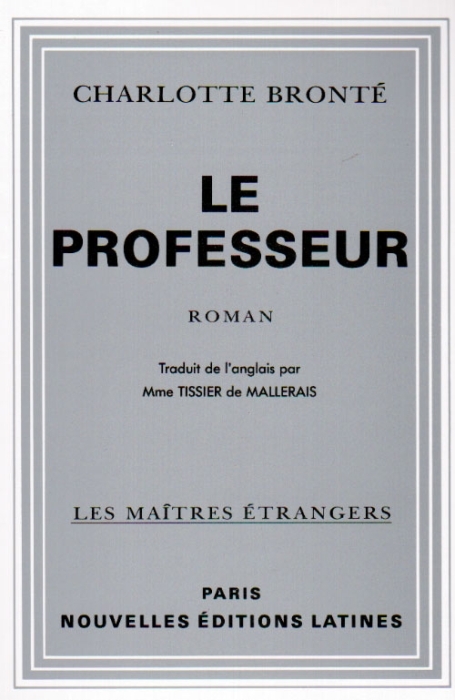 The second edition of the Tissier de Mallerais translation was published in 1982, again by Nouvelles Ėditions Latines. 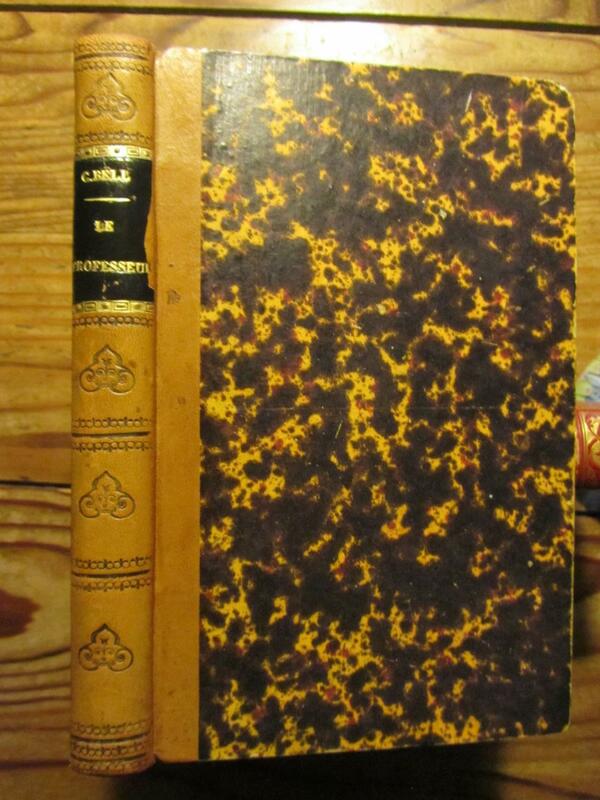 The cover is almost the same as the original one from 1946, the amount of pages is the same. 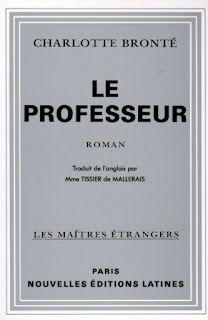 Apart from the Swiss-French translation (of 1971) there are three other French translations of The Professor. By far the most successful one was done by Henriette Loreau. It is well possible that she began translating the novel in 1857, the year in which it was first published, posthumously. 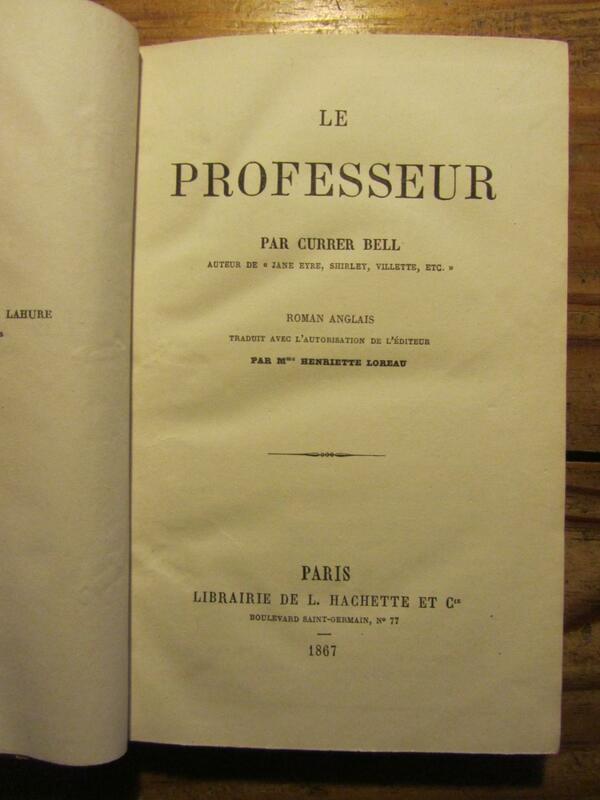 Loreau's Le Professeur was first published in 1858, by Hachette et Cie, from Paris (299 pp.). The last new edition so far of her translation dates from 2016! It brings her score to 158 years in the longest running translations competition, 64 years ahead of number 2. Henriette Loreau (1815-after 1883) also translated several Dickens novels and Mrs. Gaskell's Ruth, among other works. This first edition has in recent years had two facsimile reprints, as print-on-demand books published by Reink Books (2014) and by Chapitre.com (year unknown). 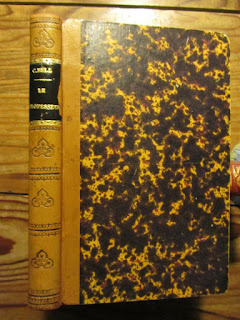 The second edition was published in 1864, also by Hachette (and 299 pp.). It was like the first edition a copyrighted translation. 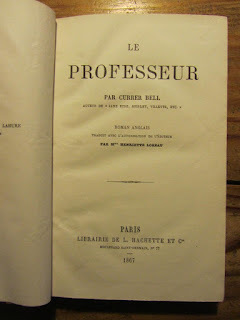 "Traduit avec l'autorisation de l'éditeur" it says on the title pages. The 'editeur' is Smith, Elder & Co surely. It shows how much progress was made in a dozen years in international copyright matters, in a then very successful fight against pirate editions. Even though this 1864 edition especially may still have been an example of voluntary copyright. It's doubtful if the novel could have enjoyed an international copyright of more than 5 years in 1857. The third edition was published in 1867. This 1867 edition was republished in facsimile this year, 2016, by Reink Books again (whom we also saw in the German The Professor article). The annual Brontë Group Christmas Lunch took place last Saturday, 3 December. Around 40 members turned up to enjoy a three-course meal, drinks and entertainment. As usual, master of ceremonies Jones Hayden had planned a varied menu of entertainment. Paul in his Christmas outfit! Paul started by giving us a little bit of literary history. He read us Robert Southey's The Old Man's Comforts – and How He Gained Them, beginning 'You are old, Father William, the young man cried/The few locks which are left you are grey', followed by Lewis Carroll's much better-known parody of this worthy poem. Paul provided a hand-out in which we could compare John Tenniel's illustrations for the verses with Carroll's own. He also provided a Brontë link by reminding us of Southey's often-quoted words to the young Charlotte Brontë: 'Literature cannot be the business of a woman's life, and it ought not to be'. Fortified by the restaurant's starter as well as by Paul's entrée, we launched into the quiz prepared by Jones. Already the atmosphere was almost lifting the roof. It rose even further when we embarked on the main course and were given a rendering of Jane Eyre Abbreviated by John Crace, author of the Guardian's 'Digested Reads' column. Stella, Kate and Ola shared the reading of this irreverent version of Charlotte Brontë's best-seller. Much appreciated. In between the main course and the dessert Jones guided us through the quiz answers. If we think that by now we know everything there is to know about the Brontës, we soon become aware that we don't! After the dessert it was time for the raffles. There were wonderful book prizes: the Brontë Society's Celebrating Charlotte: Transforming Life into Literature in Jane Eyre (published this year), a lavishly illustrated book that links elements of the novel to Charlotte's real-life experience; The Brontës: a Life in Letters, Juliet Barker's selection of letters of the whole family, and John Sutherland's newly-published Brontë miscellany The Brontesaurus: An A-Z of Charlotte, Emily and Anne Brontë (and Branwell). Also among the prizes was a framed print of one of Selena Busch's wonderful drawings recreating the Pensionnat. The lucky winners went home very happy. We ended the lunch by singing the traditional Christmas carol The Twelve Days of Christmas. After three and a half hours we ventured happily home through the darkening streets of Brussels. Yet another memorable Christmas lunch, giving us time to wish our Brontë friends a Merry Christmas and a Happy New Year! Looking forward to new events in 2017. The 200th anniversary of Branwell's birth will be on the programme. Hope to see you next year!